Why doesn't the image conversion option appear when downloading? Image conversions use preconfigured sizes to provide a downsized web ready image to download instead of the typically much larger original file. Each image may present one or more conversion option depending on account configuration. Default conversion is: 1280px (longest dimension) jpg or png. The main benefit is need to only store the original high resolution file. Not in batch downloads from the basket. Simply navigate to the asset grid or an asset detail page and download from either - but inly one asset at a time. Also note: If Brand Guidelines are auto-attached - the presence of the extra file will prevent the conversion from appearing. 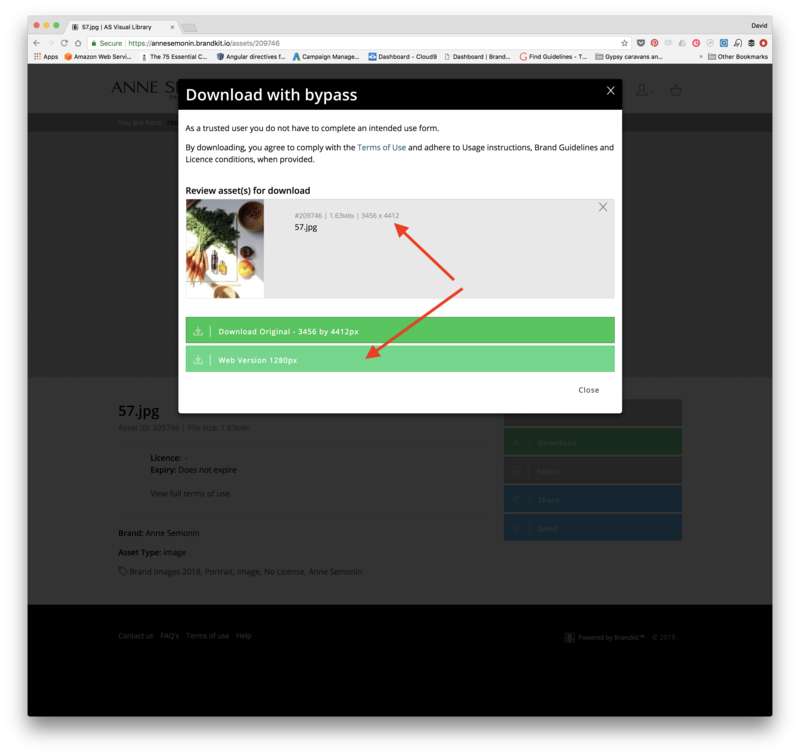 Just remove the Guidelines from the download form to display the Conversion options. Your original file is not big enough. In the case of the default conversion at 1280px, if your original image is less that 1280px on the longest dimension, then the button to download the converted image will not appear. The Original file must be larger that the converted size you have configured in the account for the conversion option to appear. You can have several conversion options (although we recommend only 1 or 2 to keep things simple) for your account if you wish - contact support@brandkit.io or your account manager if you want to add a new conversion.